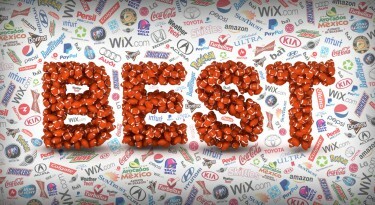 The Kick Off: Brands Announce Their Super Bowl 2017 Ad Plans 0 out of 5 based on 0 ratings. 0 user reviews. Ad season is kicking off for Super Bowl 2017 with many marketers already announcing their plans to advertise in the Big Game. While they’re busy prepping the creatives for their ads and building hype, we’re here waiting for teasers, Tweets and more. 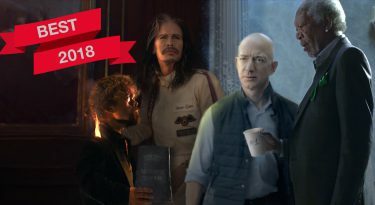 Here at Super Bowl Commercials, we’ve got the inside scoop for you on the big brands, so you won’t miss out on even one of the funniest, craziest and sexiest Super Bowl 2017 ads. According to AdAge, the ad spend in 2017 has increased compared to previous years, even though fewer big brands are keen on buying slots. This may be due to the low football season ratings so far this season. Who’s Back for Super Bowl LI? 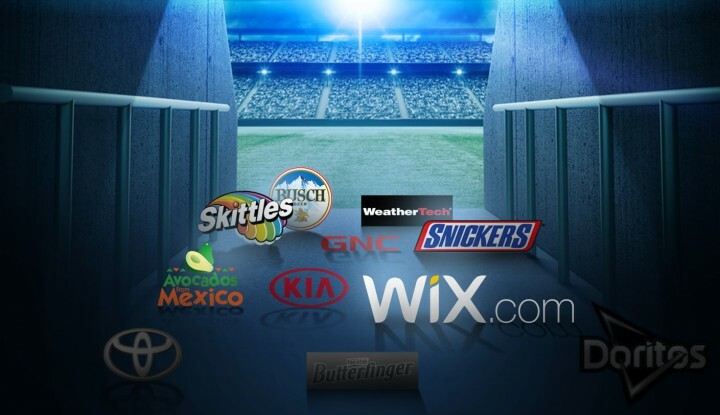 The website builder Wix.com is airing a Super Bowl commercial for the third year in a row! This year, they are doing the creative in house, rather than working with an ad agency. Will it be as fun as last year’s Wix Super Bowl ad starring Po from Kung Fu Panda? Skittles is also coming back to the Big Game for the third year in a row. Last year for Super Bowl 50, Skittles aired a commercial featuring Aerosmith’s Stephen Tyler and a singing portrait of himself, made entirely out of Skittles. Yes, it sounds as weird as it actually was. The Mars company, who owns both Skittles and Snickers, will be running a pre-Super Bowl in-stores to build excitement for both Snickers and Skittles. Called “The Candy Bowl,” Mars is asking sweet-tooths everywhere to chose whether they’re Team Snickers or Team Skittles. Apparently, there will be no celebrity in the Skittles 2017 Super Bowl commercial. According to AdAge, the Super Bowl LI spot will be in line with the Skittles beloved and long-running “Taste the Rainbow” campaign. Mars is also shelling out big bucks for a 30-second spot featuring their chocolatey, caramel candy bar – the world famous Snickers. The announcement about the Snickers 2017 Super Bowl commercial was made way back in May 2016, so we’re already pretty impatient to see what they have in store! Skittles’ fantastic Super Bowl 2016 commercial was a continuation of their “You’re Not You When You’re Hungry” theme and featured celeb William Defoe as a hungry (maybe a bit hairy?) Marylin Monroe. For the first time ever, Anheuser-Busch (the world’s largest brewer of beers) will run a Super Bowl ad for their below-premium brand Busch. You may know it well as the beer of choice for frat boys everywhere. Anheuser-Busch, which also owns Budweiser, Bud Light, Shock Top and many others, holds exclusive beer advertising rights for the Super Bowl. They’re becoming regulars! Avocados From Mexico will once again advertise in the Super Bowl in 2017, making them a third-timer like Wix and Skittles! The unlikely fruit seller’s commercial will appear early in the first quarter of the Big Game, possibly to give us ideas for a yummy avocado dip to watch the game with? This year, the Avocados from Mexico Super Bowl commercial will drum up the benefits of “good fats,” emphasizing the healthy side of avocados – which, by the way, are available all year round! If history plans to repeat itself, we can expect yet another funny ad from Avocados from Mexico. Their 2016 Super Bowl commercial featured an alien guide giving his alien friends a tour of interesting human artifacts, which included Scott Baio and of course the main star: the avocado. Yes, it was even weirder than the Skittles commercial. WeatherTech plans to warm our hearts again. As they do for each Super Bowl, they will emphasize the message that their car mats are “made in America.” Yes, the car mat makers (you heard that correctly) are back again for their fourth consecutive year with a WeatherTech Super Bowl commercial and, rumor has it, you can look for their ad during the first half of the game. If you didn’t catch their inspirational yet mushy, heartfelt commercial of 2016, check it out below. And yes, these “resources” are proudly made in ‘merica! Kia confirmed their participation in Super Bowl LI back in November 2016, announcing that the automotive brand will be advertising for the 8th year in a row. The Kia 2017 Super Bowl commercial will feature its new hybrid crossover vehicle, the Kia Niro. Vitamin makers GNC will be airing a Super Bowl ad for the first time ever. They have purchased a 30-second spot during the first quarter, most likely to try and improve their reputation after a tough year that including a plummeting stock price and a fine of more than $2 million for selling illegal dietary supplements. Thought that vitamins were exciting? How about taxes?! Well – you’re in luck! TurboTax has confirmed that they will be airing a 45-second Super Bowl LI Tax commercial this year. TurboTax will use the airtime to promote their ongoing campaign to let customers know about the agents they have available to answer customers’ questions about their tax forms. The message is that taxes don’t need to be stressful! “Relax There’s TurboTax!” On hand to help them out are celebrities like David Ortiz and DJ Khaled. The German carmaker will be back this year with their 9th Audi Super Bowl commercial! After last year’s excellent ad, called “The Commander,” they certainly have a difficult task ahead of them if they want to follow up with another commercial that is just as good. The ad followed a former astronaut reliving his past with the help of an Audi R8 and the touching music of David Bowie. The Japanese carmaker is again working hard to showcase their creativity in honor of Super Bowl LI. This is the third time that Honda will be advertising in the Super Bowl and this year’s ad will showcase their Honda CR-V. So far, Honda is keeping their cards close to their chest, so we don’t have any details yet about the creative. In addition to many of the Super Bowl stalwarts, some rookies have joined the ranks this year. Cleaning products Febreze and Mr. Clean have both announced their plans to participate! 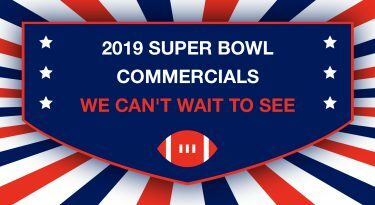 Owned by the international conglomerate Proctor and Gamble, Febreze has announced that they are advertising in the Super Bowl for the first time this year. Will the ad star a bunch of sweaty football players in a locker room desperately need of some odor relief? Or will they stick to their classic theme of helping teenagers (and their parents) combat the stinky smells of a high school student’s bedroom? He is bald and buff and looks kind of like a linebacker, so it only makes sense that the tough guy of cleanliness would join in at the Big Game! It’s true – Mr. Clean has announced their plans to advertising in Super Bowl LI! Mr. Clean has in fact declared themselves the “Official Cleaner of Super Bowl LI” and they will scrub and shine our TV screens for 30-seconds in the third quarter. And now for the bad news… The following brands have let us know that they will not be buying ad time in Super Bowl LI. The loyal Super Bowl advertiser Doritos, owned by Frito-Lay, will not be airing a Super Bowl commercial this year for the first time in an unforgettable 10-year streak. Since 2007, Doritos has asked fans to make their commercials in the famous “Crash the Super Bowl” ad contest. Although Frito-Lay’s partnership with the NFL still stands strong (The conglomerate also owns Pepsi, who will again sponsor the half-time show), the lack of a Doritos Super Bowl commercial will definitely create a void in this year’s lineup. After five years of bringing us Super Bowl ads, Toyota will not be airing any commercials in Super Bowl LI. Sources say that since the timing of their product launches this year don’t coincide with the Super Bowl, they’ve decided to sit this one out! Last year, Toyota aired two Super Bowl commercials. Our favorite involved a high-speed chase after a red Prius, Toyota. Butterfinger will also be sitting on the sidelines this year! In fact, don’t expect to see any of the big Nestle brand commercials this Super Bowl Sunday. Butterfinger first appeared in the 2014 Super Bowl, then skipped a year and came back with a bang for SB50. Prior to the 2016 game, the brand aired a skydiving stunt on Periscope to announce their return. The Butterfinger Super Bowl 2016 commercial featured a guy jumping out of a plane, riding a bull, eating a Butterfinger. The spot was directed by Armando Bo, co-writer of the movie “Birdman” and uses their “Bolder than Bold” slogan. Don’t wait to miss a single Super Bowl Commercial? Stay tuned!